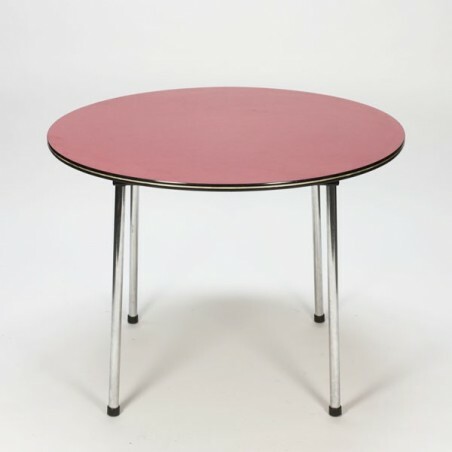 Vintage dining table from the sixties. 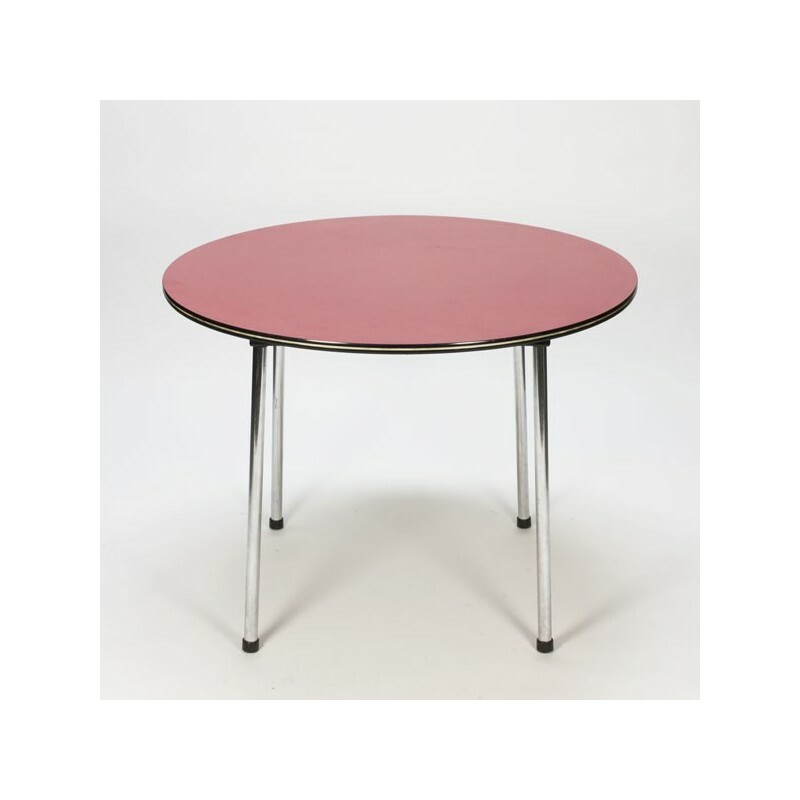 The table has a beautiful pink / red colored formica top and chrome legs. The condition is good considering the age, see the detail photos. 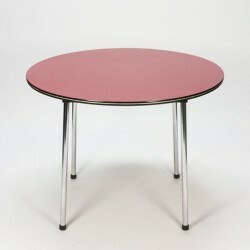 The size is 100 cm in doornsee and 75.5 cm high.